I personally am a vintage kind of girl. I love red and white enamelware pots and pans and have a collection going. 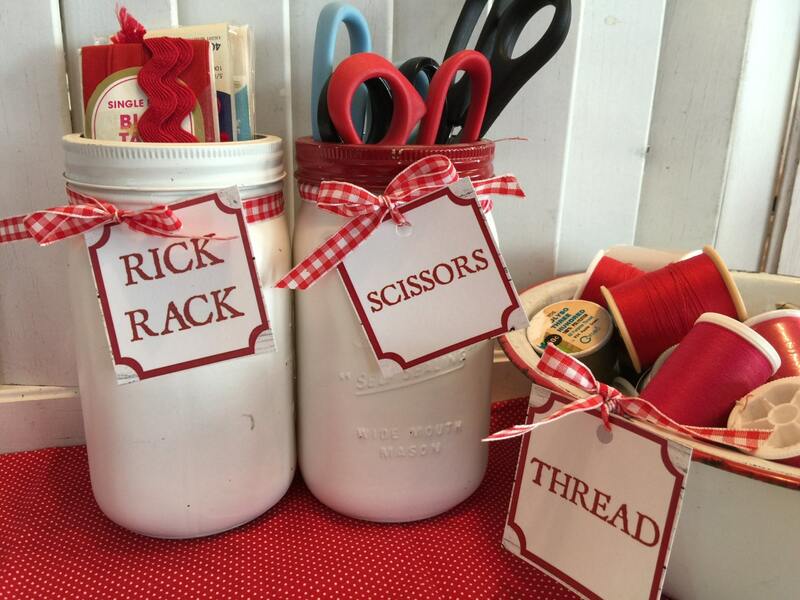 When organizing my sewing room, I used this look and spray painted canning jars white and the bands and lids red. 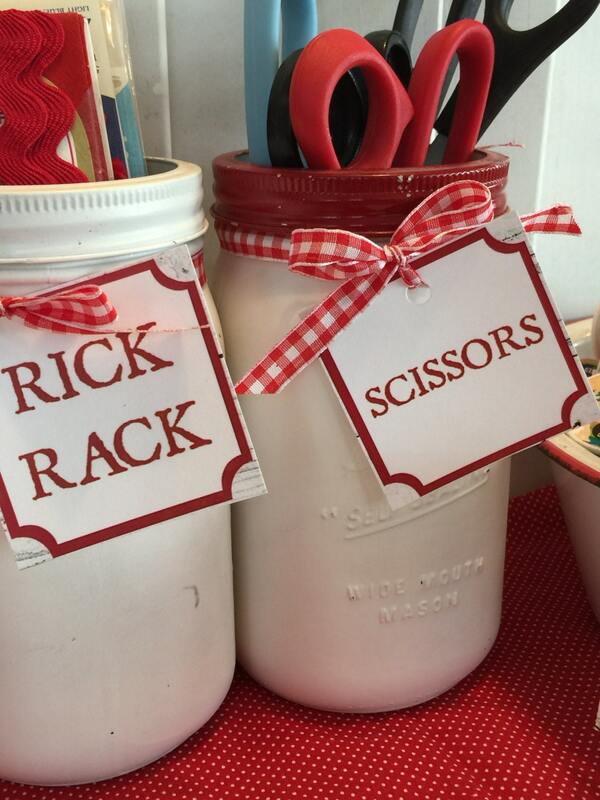 Next I created these tags to tie with pretty red and white gingham ribbon onto the jars. These tags can be tied on or they can be printed off onto adhesive paper (think large shipping label paper-found at office supply stores). Peel the paper off the back and stick to a container. 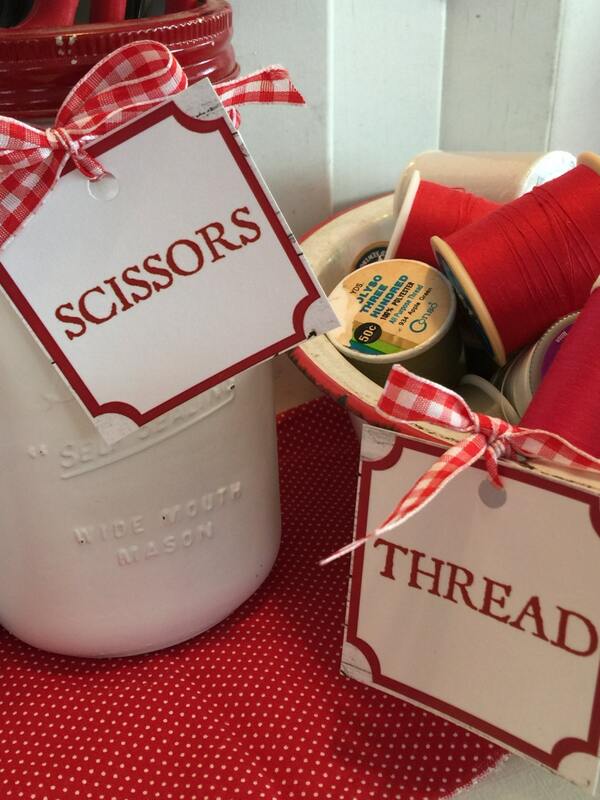 When organizing a sewing or craft room, it is wonderful to look at a container and see a pretty tag on it, telling what is inside the container. 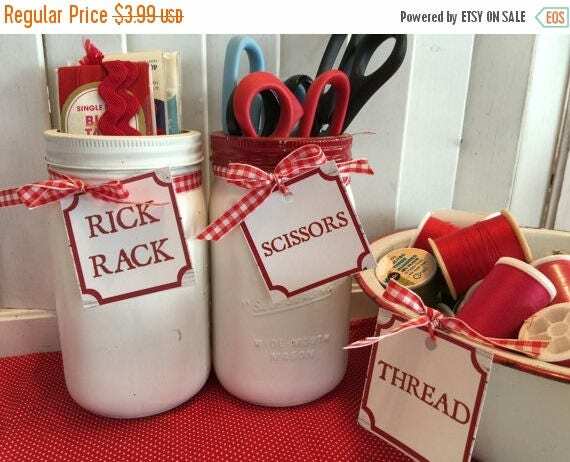 With this in mind I made printable labels that can be printed out on on white card stock or label paper (the entire page is one label) and then can be cut on the lines and attached to plastic tubs, glass jars, many organizing containers. I chose to print these out on white card stock, used a hole punch to punch a hole and then I inserted a pretty gingham ribbon about 15" long and tied it onto the container I was using for the item it was for. I love the end result. I hope you do to. 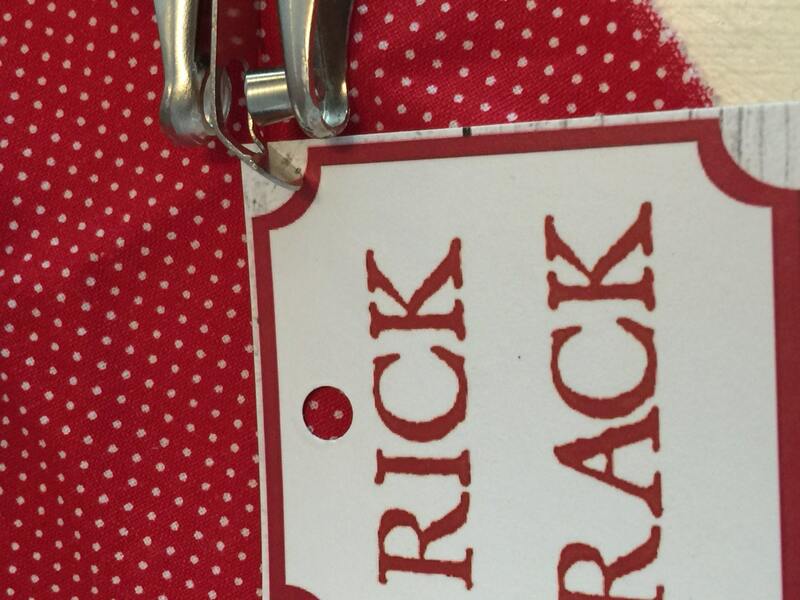 YOU'LL receive a file with a page of red and white labels that are blank, and 3 pages of Craft and Sewing term labels. Be sure to look at all the pictures. This is a very easy project and the end result is being a little bit more organized with our favorite things! You are not receiving anything physical in the mail. You are receiving this pattern for printed and blank labels, and they can be printed out on any colored paper you desire as often as you like. They are not however to be shared or resold on social media. Thank you for understanding!